Juggling, tightwire, diabolo. plate-spinning, stilts, devil-sticks, hula hoops, trapeze, unicycle and walking globes! Inspire your team with a visit to Skylight Circus School or benefit from Outreach where Skylight will bring facilitators and equipment to you. Sessions can be as little as 1.5 hours long or take full advantage of a full days programme of activity. 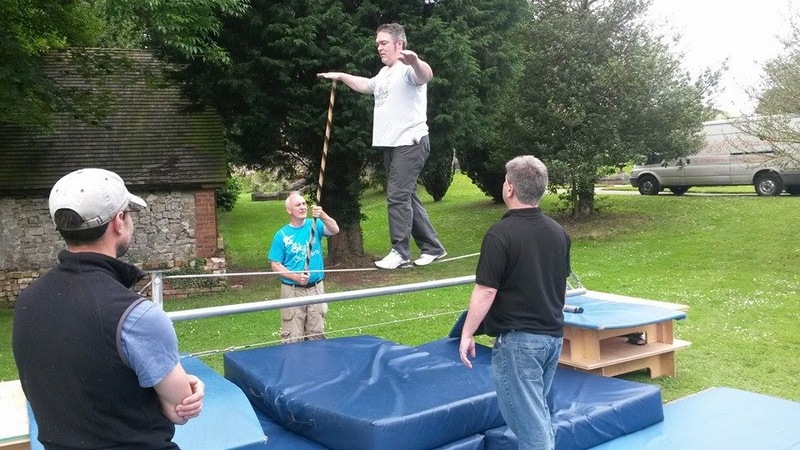 What are the benefits of circus skills team building? Co-operation – Pairs work on side-by-side juggling, passing diabolos, helping tightwire-walkers…. Trust – Simple acro-balances and pyramids are the ultimate group challenge! Interpersonal and communication skills – Sorting out a ‘performance’ is pure teambuilding theory made fun! Skylight have an established history of working with people of all ages, backgrounds and physical abilities. They are highly adaptable and inclusive. Based in Rochdale, Skylight in only 20 mins by train from Manchester and is easily accessible using motorway, tram and bus transport links. A Year in the Life of Silver Circus!